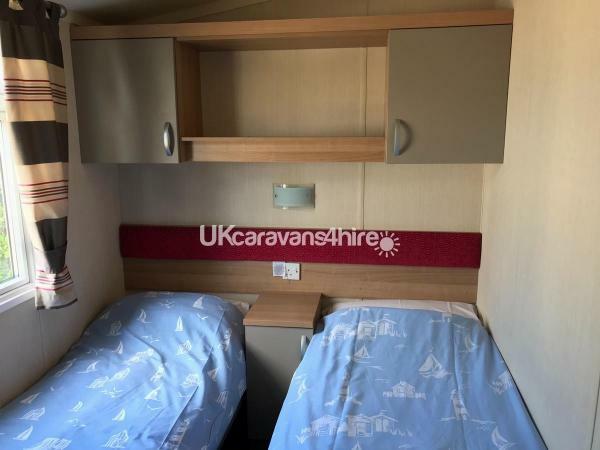 Low season starts at 250 all depending on length of stay high season starts at 750 but also depends on length of stay. 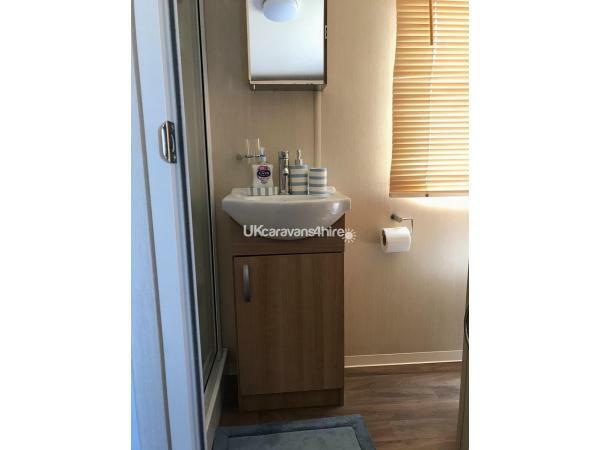 Does not include passes but this can be discussed at time of booking. 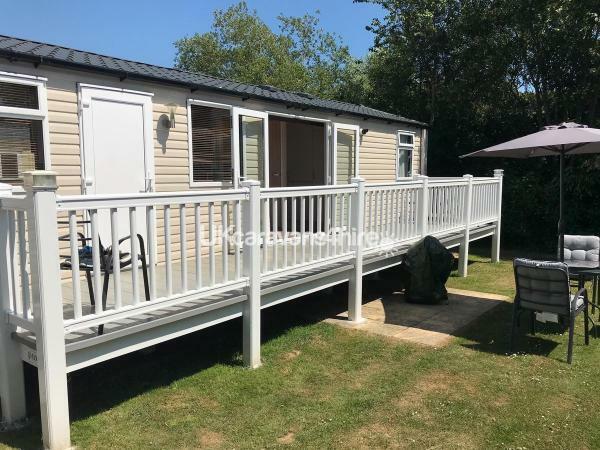 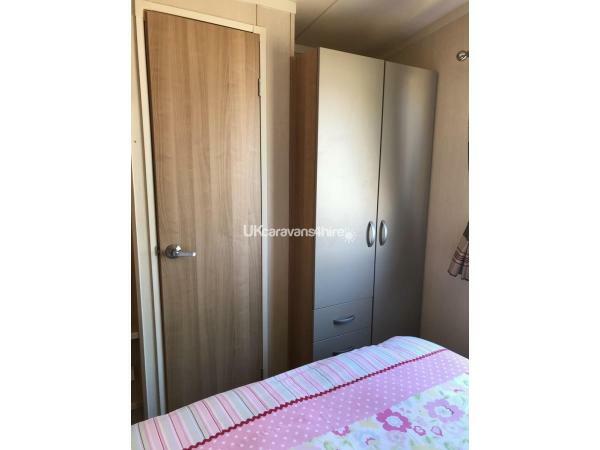 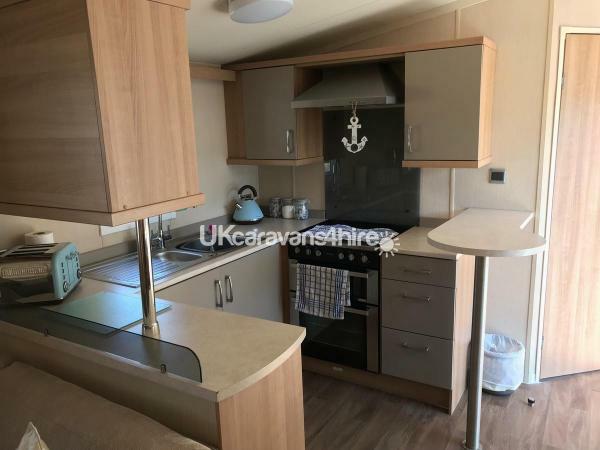 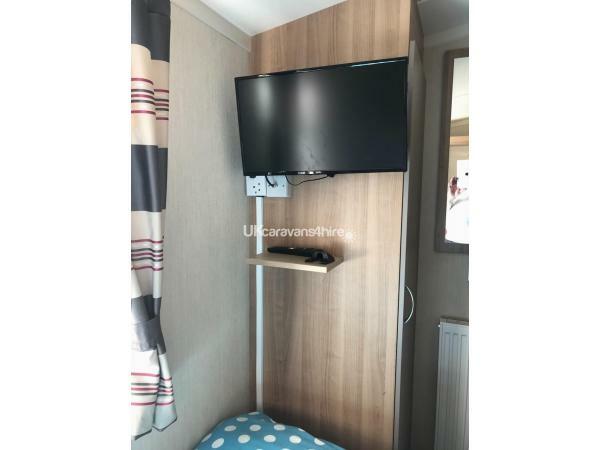 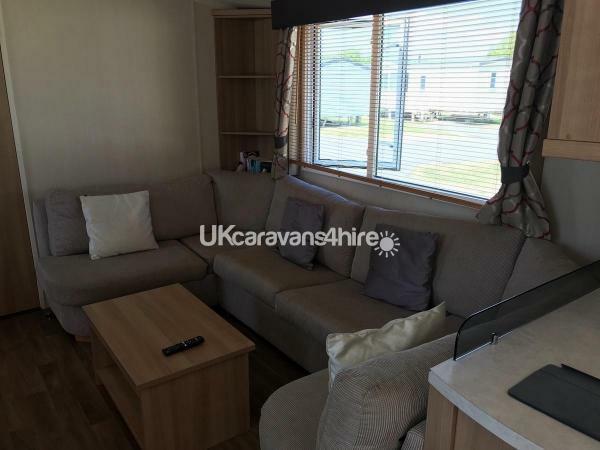 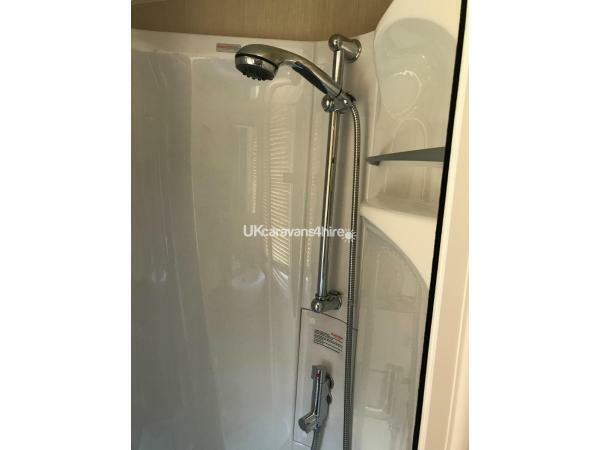 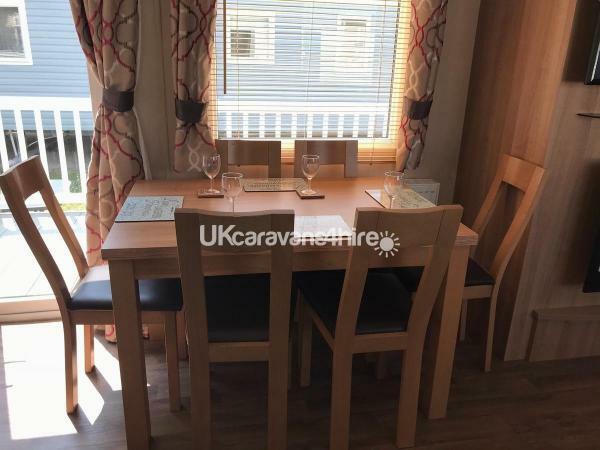 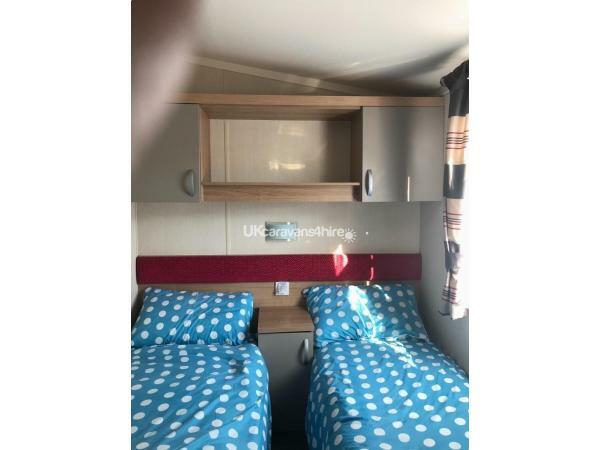 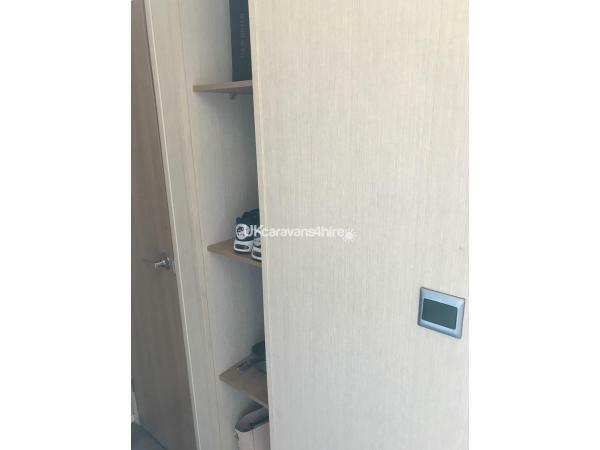 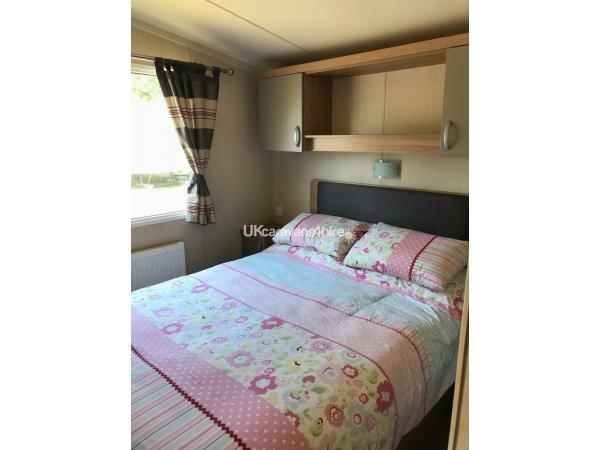 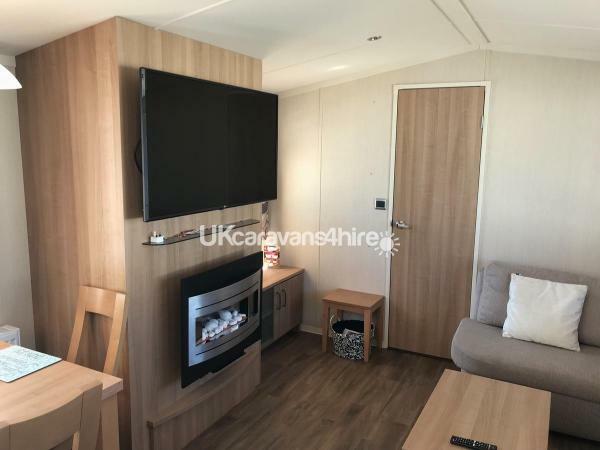 Luxury caravan sleeps 8, 3 bedrooms, main bed situated at one end and two twins at the other master bed has own en suite and two twins have own bathroom ideal for families with children. 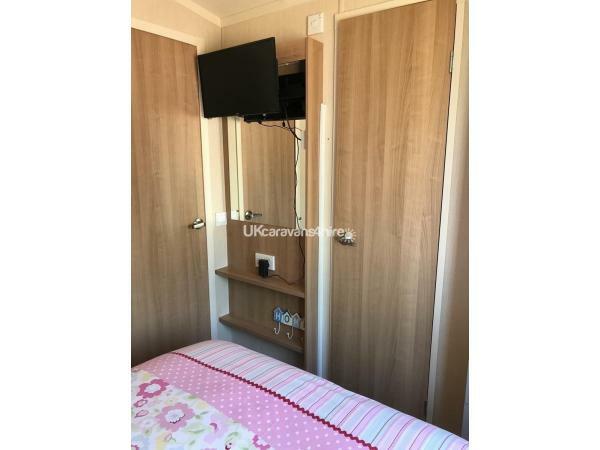 All bedrooms have TVs with built in DVD and cables ready for games consoles TV in lounge in 49 in also with dvd and cable for console, fully stocked kitchen with built in full size fridge freezer and microwave.dining area for 6 people plus two places at breakfast bar.Own parking space and garden with barbecue and patio set.